The charming Violet Mackerel must overcome self-doubt to make a new friend in this fifth illustrated chapter book of a delightful series. Violet Mackerel hopes and hopes that her new next door neighbor, Rose, might turn out to be a very good friend. But even after a nice morning at Rose’s house, Violet still has quite a few worrying thoughts. Is she too messy for Rose’s tidy family? Will Rose be disappointed that the ice in Violet’s house comes from a plastic tray instead of a special box with fancy tongs? Will Violet wear the wrong sort of costume to Rose’s flower-themed birthday party? And what if the present Violet brings is a good bit smaller than the other presents? Luckily a helpful older sister, a big imagination, and a particularly brilliant idea just might turn Violet’s possible very good friend into a definite one. Violet Mackerel is exploring her new home. Her family has only just moved in, so she is discovering interesting things all the time. Her first discovery in the new garden is an ants’ nest. Hundreds of ants crawl in and out, sometimes carrying things that are bigger than they are. Her next good discovery is a ring of small brown mushrooms growing in a damp spot. They look like tiny umbrellas. But the most interesting discovery for the whole morning is something that actually looks very ordinary at first. It is a brown knot in the pale wooden fence. The knot is a dark circle with a ring around it. Violet presses it like a button to see if something happens, but she doesn’t really expect that anything will. It moves. She presses a little harder and it moves a bit more. She presses harder still, and suddenly it pops right through the fence and falls out the other side. Violet’s heart does a worried little jump. She looks around to see if anyone has seen her accidentally making a hole in the fence, but everyone is much too busy to notice. Mama and Violet’s brother, Dylan, are still moving furniture, trying to find the right places for it all to fit. Mama’s new husband, Vincent, is filling in cracks in the new bathroom’s ceiling. Violet’s sister, Nicola, is trying to find the channels on the television by reading some instructions and pressing all different buttons on the remote. No one has seen Violet making the hole. Perhaps, Violet thinks, no one will guess it was her. One cheering thought is that she now has a good way of peeking into the garden next door. Mama says she thinks a girl lives there who is about Violet’s age. Violet doesn’t have any friends near the new house, and she would quite like to make one. But making a new friend can be tricky, especially if the friend you would like to make is someone you have never met or even seen before. Violet has been trying to think of some theories that might be helpful for friend-making, and so far her best idea is called the Theory of Swapping Small Things. The theory is that if two people give each other a small thing, they might end up becoming very good friends. She had the idea because Mama and Vincent got married in their old garden and when they said “I do,” they gave each other small gold rings, which they both wear all the time. It was a good swap, Violet thinks, since now they are very special friends. They laugh and smile almost all the time when they are together, and Vincent brings Mama a flower nearly every day. Violet doesn’t have a spare ring, but she does have a few special small things that she could try swapping with the girl next door. Perhaps one of them would be perfect. She squats down and puts her eye close to the hole, spying through it like a telescope. The garden she sees is very different from her own, which is messy with lots of weeds and long grass because no one has had time to do any proper gardening yet. In the neighbors’ garden there is no mess. There isn’t a single weed or a slightly overgrown patch. It is the neatest, tidiest garden Violet has ever seen. It has a soft, green lawn trimmed very short, with hedges clipped into special squarish shapes. The owners must be very neat, tidy people, Violet thinks. Then she has a slightly worrying thought. A family of tidy people might not be very pleased to discover a small hole in their fence. Only a minute ago Violet had been trying to think of a good small thing to swap with the girl next door. But now she is not thinking at all about making a new friend or testing her new theory. She is thinking about the tidy neighbors knocking crossly on the door and saying, “Why is there a hole in our fence, and who put it there?” That is a very worrying thought. But everybody looks tired after a day of moving into the new house. They do not look as if they are in the mood to fill holes or make cakes. They are flopping on the couch and chairs, which aren’t in quite the right spots yet, and watching the one channel Nicola has managed to find on the new television. So Violet does not tell anybody about her worrying thought. Something she particularly likes about the new house is that now she has her own bunk bed. Violet slept in a bunk bed once at a beach house and has wanted one ever since. She sleeps in the bottom bunk with a sheet draped down so it makes a small personal space. It is a good place for thinking, even if the thinking is mostly worrying, which it is tonight. But before she goes to sleep, Violet has an idea about the problem of the hole in the fence. "The fifth installment in this early chapter book series is as whimsical and honest as ever. Young readers will delight in the enthusiasm that Violet and Rose devote to their playdates and the attention to detail that they give to the teeny, tiny notes that they pass back and forth through the small knothole in the fence bordering their houses. Violet is a lover of all small things, being one of them herself, and that comes across deliciously. . . . Charming grayscale illustrations, again sketched by Allen, connect and expand upon the text. Fans of Junie B. Jones, Clementine, and Amber Brown will happily add Violet to their reading shelves as well." "This is a gentle story of kindred spirits recognizing each other, and a happy addition to this continually excellent series." 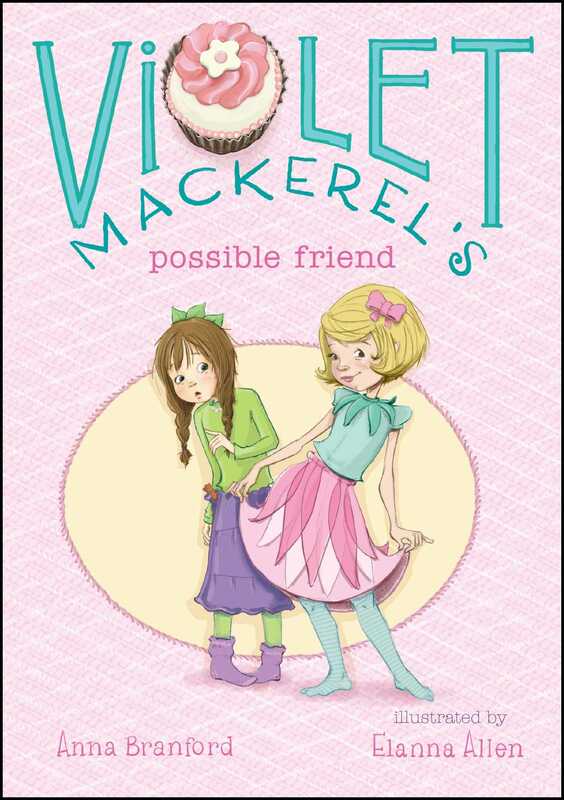 "Just right for newly independent readers, this fifth adventure about Violet Mackerel finds her exploring a new home and wishing for a friend. 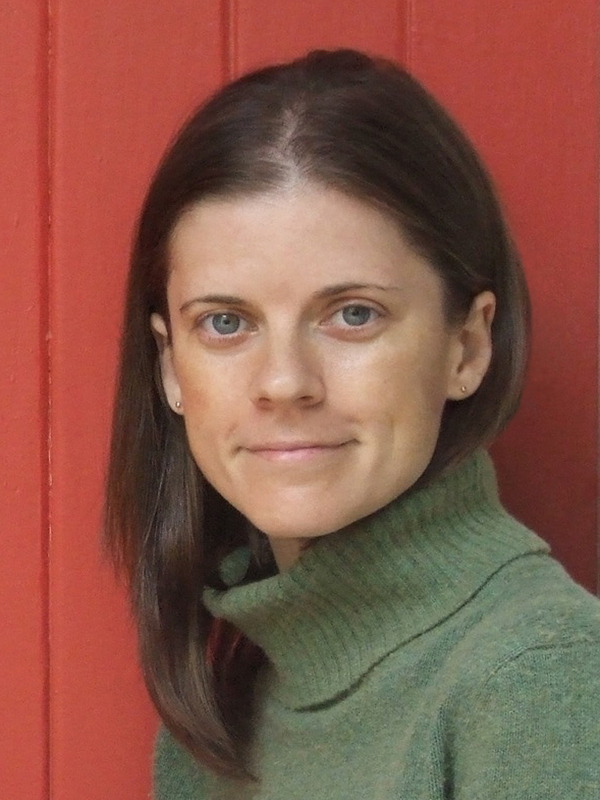 The author gets Violet’s perspective pitch-perfect, exposing her anxieties about fitting in while also showing children they are not alone in their worries about adjusting to unfamiliar surroundings and people. Plentiful grayscale illustrations zero in on the child’s emotions, and the fluid prose makes this an ideal read-aloud for the whole family."